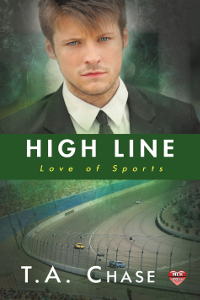 Will giving him the green flag lead to love...or heartache? CJ Lamont is at the top of the racing world but his winning record is based on a carefully constructed lie. His world falls apart when his ex-wife reveals the truth. As he hits rock bottom, rescue comes from an unexpected source--Garrett Johnson, Hollywood's hottest leading man. Garrett's acting career is taking off, bringing him accolades he'd never imagined. Good friends and family keep his days hopping, but watching his twin brother fall in love exposes the emptiness in Garrett's life created by the betrayal of his ex-lover. Garrett offers CJ a place to heal and a shoulder to lean on, telling himself it's only to keep CJ from taking a more destructive path. But as time passes, the two men grow closer and CJ realizes he has a decision to make--whether to rebuild his fictitious life, or admit to loving a man who shines brighter than the Hollywood stars. Will he reach for the star or sink back into his old life? 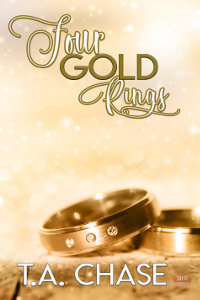 Christmas is a season for love and two couples find all they are looking for in four gold rings.